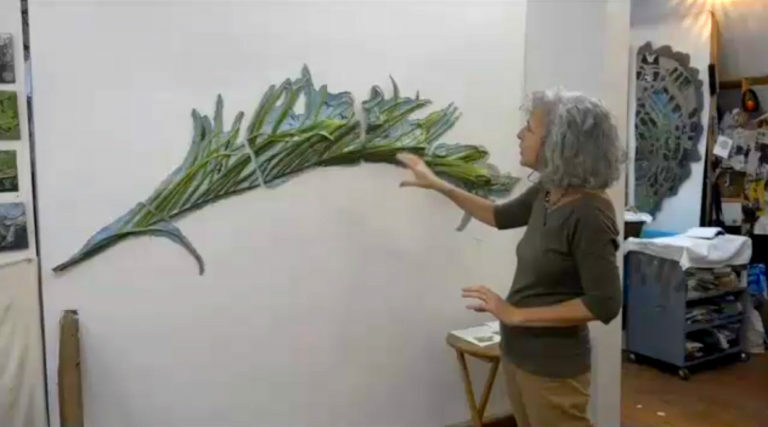 Kathy Levine and the Flatbush Artists Open Studios have been featured on News12 Brooklyn. Opening Reception: July 27, 6 - 8 p.m.
Visit the Garvey Simon site for more info. Twenty-five accomplished artists invite the public into their homes and studios during the weekend of November 12-13, 2016 from 11 am to 5 pm. Visitors have the opportunity to meet and talk with the artists about their work as well as purchase art. 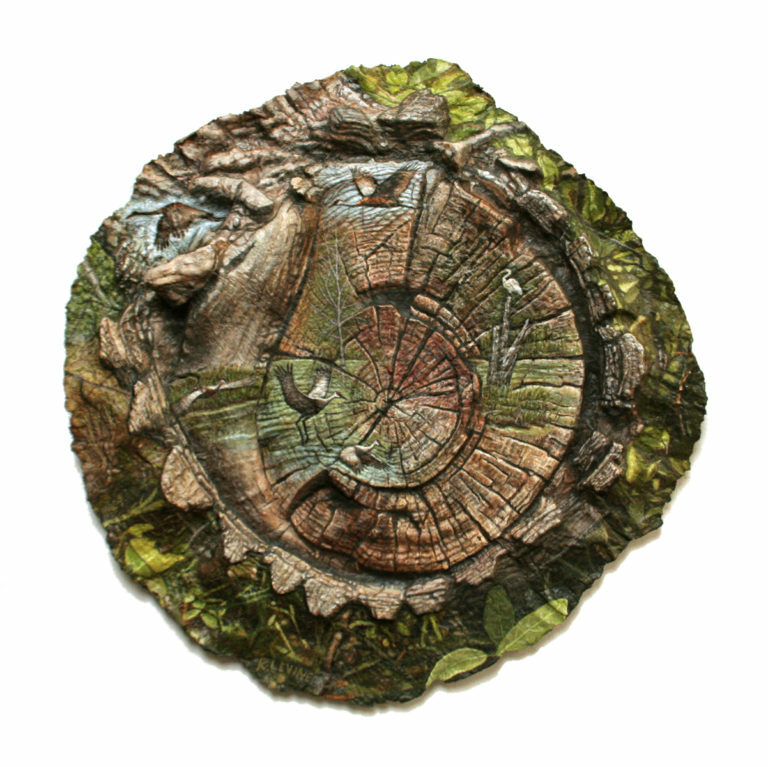 Many of the studios host several artists and are located in century-old Victorian houses surrounded by gardens and tree-lined streets, all are within walking distance of each other in this free self-guided open studios tour. For a printable PDF copy of the map for the Flatbush Artists Open Studios, click here. 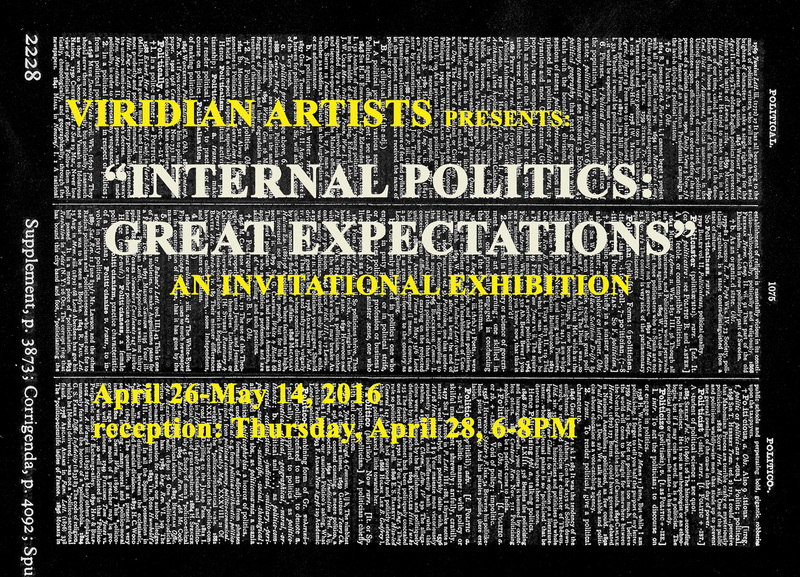 Viridian Artists, Chelsea, NYC is pleased to present “Internal Politics: Great Expectations”, a Photographic & Mixed Media Invitational curated by Vernita Nemec. "But what are our “Internal Politics” and our “Great Expectations”? Perhaps those politics concern one’s secret wishes about reality or what reality should be – our personal politics and how we respond to the world around us with images rather than with our voices." To read the entire press release for the exhibit, please visit viridianrtists.com.